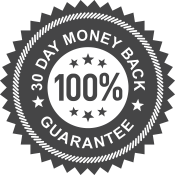 We know that you're going to love working with us and to prove it we're backing every purchase with our 30 day money back guarantee. That's right, we'll refund 100% of your money if you're not happy with our service within 30 days of signing up. Your domain name is automatically set to renew and the registrant details are under your name in case you need to easily regain control. By using the fastest performing DNS provider, DNS updates happen within seconds making DNS propagation delays a thing of the past. Your domain name risks exposing your personal details to spammers, marketing firms and online fraudsters. With WhoisGuard we protect your privacy. Advanced DDoS protection to match the sophistication and scale of such threats, used to mitigate DDoS attacks of all forms and sizes. Join a global content delivery network designed to optimise security, performance and reliability for your website and it's visitors. Protect your website from common vulnerabilities like SQL injection attacks, cross-site scripting, and cross-site forgery requests. DNS (Domain name system) is an internet service that translates domain names into IP addresses. Each time a domain name is used it must be translated in order to know where to send the traffic. Domain name records include the web address, subdomains and mail services. These records and more must be managed in order to ensure that the specific traffic goes to the right place when needed. Yes, although your domain name lives within our account, we ensure the the registrants details are in your name. If you need to regain control of your domain in the future we can assist with that, or you can use the Namecheap (or other) change ownership option - we just need a heads up to allow it to be transferred out. Can I change my Nameservers or IP addresses? We take care of that for you, just pop us a request via live chat, or email and we'll get right on it.